Check here for relevant updates from the National Audubon Society. 1) For example, have you ever wondered how to make sense of radar data and migratory birds? Wonder no more. 2) How about outdoor activities for kids? Check out Audubon Adventures. 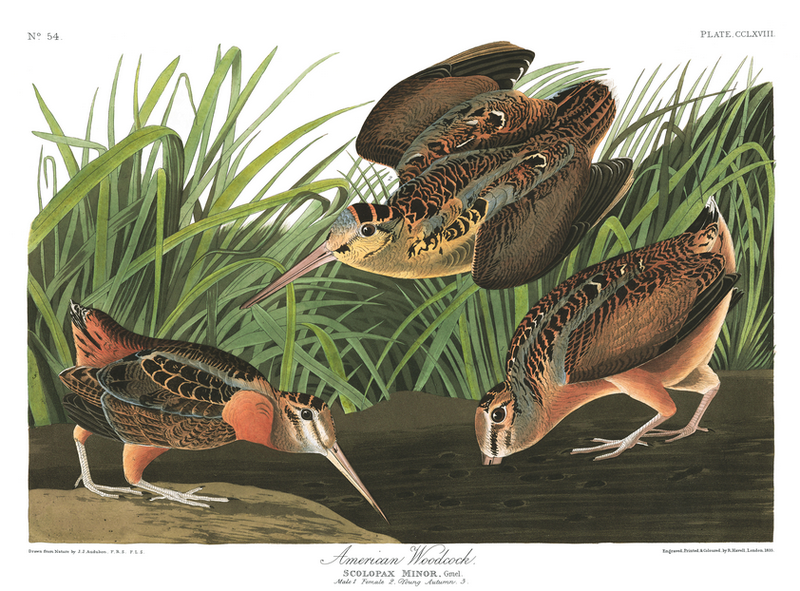 The National Audubon Society has made available high-resolution images of John James Audubon’s Birds of America! Finally, the Payne County Audubon Society is located within the Central Flyway. Joy Hester is our Regional Director of and representative to the Central Flyway–Southern Region. This communication is provided as a periodic update for chapter leaders about recent National Audubon Society Board of Directors activities in my role as the Central Flyway-South Regional Board Member. What a great Audubon year it’s been so far! The January board meeting on Amelia Island (see my last report) was followed in June by a board meeting in spectacular Alaska, then a very successful 2015 Audubon Convention in Virginia (more about both below). The next board meeting will be much closer to home, back in my home state of Texas, where we’ll be meeting in Dallas next month. Speakers from four chapters located in different regions of the state will participating in a panel during the Chapters Forum that happens before every board meeting. If you’re in the neighborhood, please join us! The board of directors met at the Aleyska Lodge and Conference Center near Anchorage, Alaska, on June 18-20, 2015. A significant action taken at the meeting was the adoption of Audubon’s first $100 million dollar budget. The budget ensures that progress during the five-year implementation of the current strategic plan will continue. Work on the next phase of the strategic plan for 2015-2020 is underway with a strong ongoing focus on protection of birds and their habitats. The Audubon Board provided general comments and input during the process, and plans are underway for webinars to solicit input from chapters. In addition, a presentation by Audubon Alaska and Pacific Flyway staff dramatically illustrated the importance of Alaska for major populations of breeding birds, and the Executive Director of Audubon Washington shared a report about a monitoring program undertaken by eight Audubon chapters in eastern Washington state. Chapter volunteers there invested over 2000 hours in monitoring breeding populations of Sage Thrasher. That presentation demonstrated the enhanced effectiveness that can be achieved when Audubon state offices and chapters coordinate their resources. And of course there were field trips before and after for those able to participate. My favorite was the visit to Kenai Fjords National Park where calving glaciers were stunning reminders of the importance of Audubon’s climate change work. A float trip down the Kenai River provided views of more Bald Eagles than I’d ever seen before or am likely to ever see again. Over 65 chapters were represented at the Convention this year, many with multiple representatives. Audubon staff, state boards, centers, and many others from across the Audubon network were also there in large numbers. Plenary sessions included an address by Audubon President David Yarnold that emphasized the importance of chapters in all their diversity, a moving performance by award-winning actress Jane Alexander, and an outstanding presentation by Katharine Hayhoe on climate change. Participants spent four days in workshops and programs on topics including policy and advocacy, Audubon’s international programs, Bird Friendly Communities, Important Bird Areas, and strategies to strengthen the Audubon network. And of course there were lots of field trips! The next Audubon Convention will take place on July 14, 2017, at the Canyons Resort in Park City, Utah. The return of the convention after a 13-year hiatus has been an important part of the effort to strengthen the Audubon network. I encourage chapters to send enough representatives to cover the wide variety of concurrent programs and workshops. Scholarship support was provided by Audubon for these last two conventions, so be sure to watch for that possibility again and sign up while those funds are still available. I look forward to seeing you there. I’ll be in touch again after the Dallas board meeting next month to give you another short report. In the meantime, please feel free to contact me if you have any questions or concerns or if you might be interested in serving as the next Regional Director for the Central Flyway-South. That election is coming up soon!